It is truly said “Dreams don’t work unless you do”. You cannot find career or search for career. You have to create a career for yourself. The logic is very simple: If you want something you had never had, then you have to do something that you have never done. When you have brains in your head and feet in your shoes, you need not bother wherever you go. You can steer yourself in any way you want. It doesn’t matter if you are slow as long as you don’t stop. Just make your desire to succeed greater that you fear to fail and you will see that you have mastered things. You don’t have to do what everyone else is doing. You can create and build a new future for yourself with you caliber. An ideal career is made by 1% inspiration and 99% perspiration. Just pick a career which doesn’t need escaping from and see the wonders you make out of it. Take responsibility for your own career because it requires strength to climb on the top. For creating an ideal career you need to manage certain factors. These factors help you in planning and make you realize that now is the right time. How to Create your Ideal Career Path? Using your list of interest and skills, you can search for a career option for yourself. You can identify different sectors of your choice. Resources like directories, career programme and fairs may help you transforming and developing options of your choice. To uncover your dream job, you need to know what skills you have which others don’t. You need to know in what areas you specialize and can have the ability to attain expertise as well. You need to recognize your skills and polish them as much as possible to build yourself a career which will take you long way in future. You need to know your habits and prospects. Try to judge yourself by the quality of work you present to the clients. Once you are set in your career, it is necessary to analyse whether you can take your career into heights so that your career becomes ideal for others. You can judge this only when you know what capabilities you have and what capabilities you can develop. You need to know the risk appetite and the capital investing capacity you have. People are bound to get attracted and deviated from their focus for two main reasons-one is when they don’t get expected response and the other is when you come across something more attractive than your career path. Both the reasons simply show that you have somewhere lost your focus on work and are in a dilemma. You should gain more clarity in your needs and requirements. Be sure and accurate in your focus. 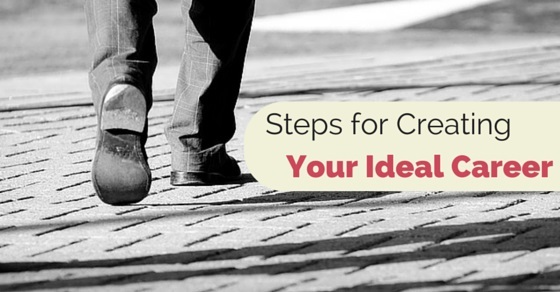 Make your steps clear and concise so that you can follow them without hassles. If you are planning to start up a business of your own or making products which are attractive and can gain momentum in the long run, then immediately write down things which have come in your imagination. Try to make your dreams come into reality by drawing sketches of the imagination you build up for yourself. Visualize you dreams daily so that you gain confidence in working for it and achieving it. It is of great important to live your dreams daily so that you can fulfill it and work for it. Try to bring change in the type of product or type of process. Apply your mind and current technologies to metamorphosis the products to look and feel better. Old ideologies are good but people are used and accustomed to it. Now, in this age, they want something new. It is the tendency of human beings to grab the changed product first to analyse the changes taken place. So, you have the opportunity to utilize the habit of human beings and create a career out of it to make yourself known and established. Ultimately the person who knows what is right about you is you. Assess your strength, weaknesses, interests and values along with your skill and abilities. With this evaluation, you can go for different career options and their suitability on you. Only you can decide what you are best at. You know your limits and you can frame a life of yourself when you step into your ideal career. The contribution of your life to the career portion from your side shall be more than other areas. Only then can you take a step ahead to establish a career for yourself. Survey yourself on what activities you are really interested in. List out some areas and see whether you enjoy or you are interested in like teaching, politics, IT, Legal or any field of your choice and evaluate what careers would incorporate your area of interest. See that your interests lie in an area which you can comfortably manage single handedly. You should be very confident in whatever areas you chose for your background. Your interests should contain eagerness to ride past all the hurdles. Having passion about your interest is a great thing in achieving your goals. It is very important to match your career prospects with your personal life. Suppose, if you aspire to become a pilot and you don’t have family support or proper timings to spare for your career aspiration, then it is of no use to think of such a goal. Your career goals shall be inclined with your personal habits and lifestyle. And suppose, you want to breakthrough and change even your life style for your career, then you should have supportive backup to maintain your lifestyle in your absence. There is a difference between your interest in a thing and your commitment to a thing. When you are interested in an object, you do it on your convenience but when you are committed to the same object, you have to develop a sense of responsibility towards that work. You cannot afford to accept any excuses for delay. You have to complete the work on time and show your results at the earliest. An ideal career can only be created when you are committed to your goals and future planning. Money is a tight thing. Power your mind to choose your finances in the best possible way. Judge whether there is a real possibility in making money out of such investments. It is embarrassing when you need to up bring your career on loans and projections. So, it is better to create budgets and planning beforehand. Analyse your income and your spending. Plan your purchases in advance with good market survey so that you get best quality at reasonable prices. Nowadays, with social sites coming in, you get all work from home and online stuffs. These are all a type of gambling and money making scheme. In reality, they lead to nothing. You should not be attracted towards the shiny quotes and near to real feedbacks of the customers as it is all fabricated and dressed to grab people who are searching jobs in the market. You should be very careful in investing time in such kind of activities which has no fruitful results. Before applying, you should try to contact people who have already applied in such sites. This point may seem paradoxical but the rewards assigned for yourself will sustain you in achieving your goals. Set aside a limited period of time for yourself to enjoy the breaks. Don’t become too hyper addicted to your career or you lose the track of society and networking. The small rewards will keep you in high spirits and prevent a splurge later. Find cheaper methods of treating yourself like watching movies, going for vacations or outings once in a while to live the world around you and observe the changes. Normally, people get affected by their surroundings and try to imitate them. If you are unsure of a particular area, ask yourself whether you can manage it on a regular basis without being fed up. Analyse yourself-and see whether you have qualities which the others successful people in the same background have. Question yourself whether this type of career option will change your life for the better. And see whether you get positive answers. Only then can you gain confidence in investing your time and money in such areas. If you have certain memberships which you don’t use it at all or if you have certain objects which you don’t find useful for you, change them. Sell them off. And invest the finance and the attention to the one you are interested in. Devote your passion to areas you are interested and committed in. Be passionate about things you want to do. Check that most of your qualifications abilities and skills are utilized in your career . Then can it become an ideal career for you. Your ideal career shall provide you with an opportunity to learn progress and contribute to your organization. Your mindset shall be open, supportive and entrepreneurial to support your career.